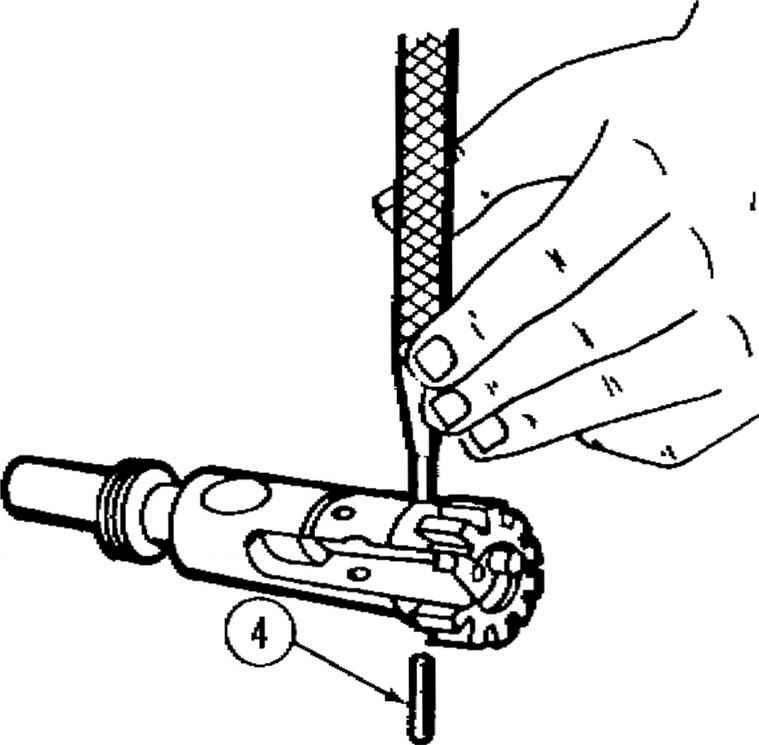 Hold bolt body in vise and remove spring pin using punch and hammer. Catch cartridge ejector and helical spring to prevent loss. Do not distort extractor pin or spring assembly during cleaning. Remove carbon with CLP (item 5, app D). Cover with light coat of CLP (item 5, app D). 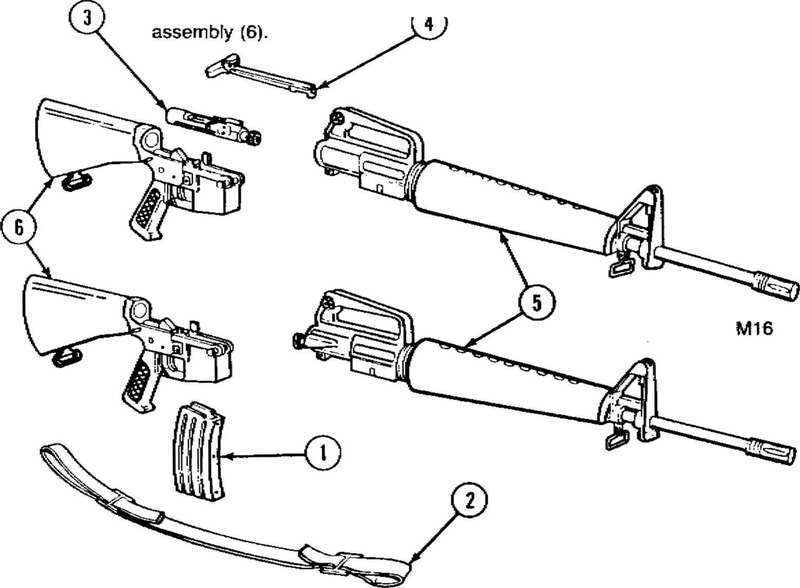 Do not interchange bolt assemblies or other components from one weapon to another. Doing so may result ii. injury to, or death of, personnel. Be sure to use vise jaw protective caps. Install. 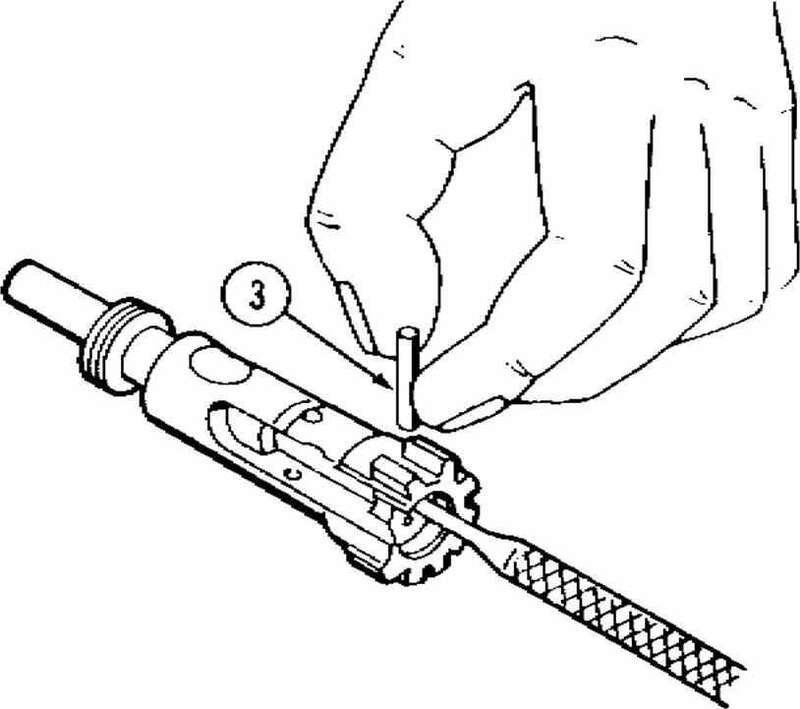 Aline the groove on the cartridge ejector so that the spring pin can be installed.